It's time for me to get very, very candid about some thoughts that have guided my actions, how I made some very serious mistakes in planning New Jang City, and how I've permanently turned a major corner in the course of my involvement in the LEGO hobby on the whole. Grab a snack or beverage, and let me fully break the situation down for you. 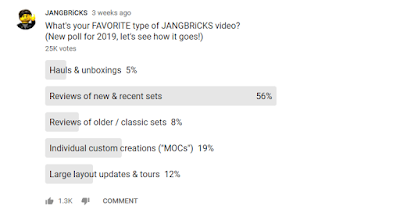 Not everyone likes to acknowledge this, but the JANGBRiCKS YouTube channel (originally "LegoJang") was founded on reviews of official LEGO sets. My first, second, third, and up through my fourteenth videos back in 2010 were all reviews, after which I went through some MOCs to pass the time leading up to the next series of new product releases and, you guessed it, more reviews. After focusing primarily on "constraction" themes like Hero Factory and Bionicle, I kicked off 2013 and really the modern era of the channel with another review. 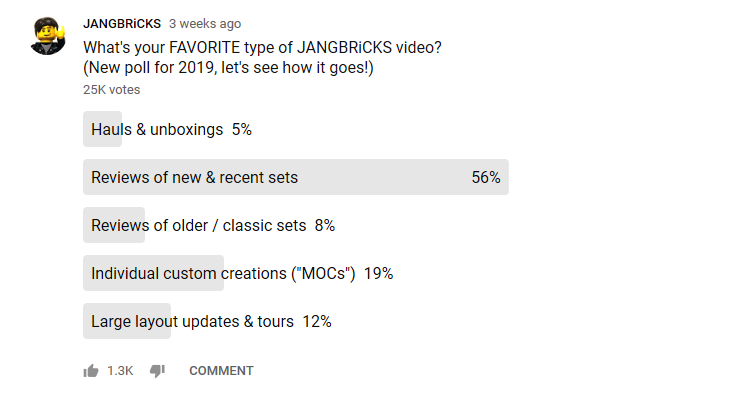 My first ever poll on the revamped Community tab of my channel asked viewers what they most like to see on my channel, and they overwhelmingly voted for reviews. I asked again just a few weeks ago, and the results were, for all intents & purposes, identical. Reviews are the main things The People want, and reviews are the main things I deliver. As I'm a fan of LEGO in general, I enjoy owning & critiquing LEGO sets, though it's not my favorite part of the hobby. It's definitely something I do almost exclusively for viewers. 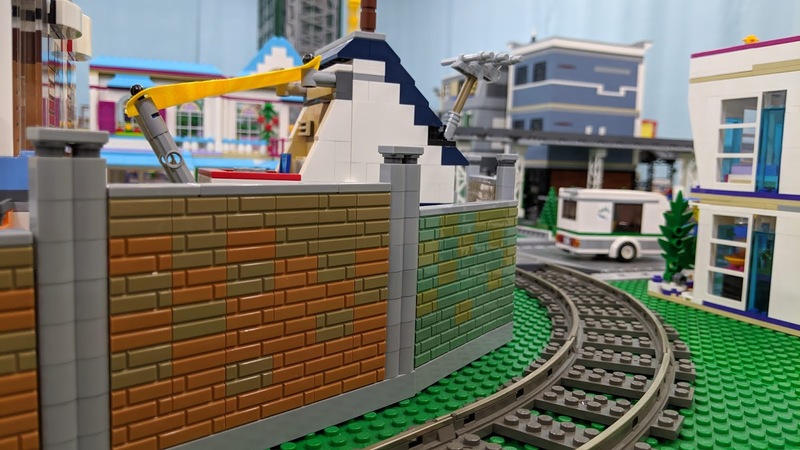 If folks didn't want reviews, I wouldn't do them just for the fun of it, as there's a crazy amount of work that goes into them and I'd rather be working on my LEGO city layout. From its humblest of beginnings, this here has been my project, something I've taken on primarily for my own enjoyment and the benefit of my very soul as a much-needed creative outlet. Unfortunately as the modern Internet culture of YouTubing, streaming, and disappearing chat evolved, I watched a new generation of fans enter my orbit fully afflicted by the instant gratification bug. They had literally been growing up with the understanding that viewers/followers are the masters of the world, and content creators are remote-controlled robot slaves who exist only to do the bidding of a single individual in the universe, the all-important "me." Many youngsters stopped asking me to do things in my city, and instead shifted to demands, sometimes even piling on with primitive blackmail attempts. If I didn't take out my train yard and put in an airport, one kid would surely unsubscribe, or obsessively dislike every video with 10 duplicate accounts for months, or fabricate & spread a patently false allegation that I had said some awful thing to them because behind the mask, I'm actually a truly evil person. Because I won't put in an airport. Yeah. I had to put the good ol' kibosh on that mess. I happily alienated & purged some very selfish subscribers in the process, but I laid down the law. I let it be known that what I did with my own toys that I bought with my own hard-earned money, in my house that I paid for with a lifetime of my own work, and that I assembled with still more of my own investment of time & effort, was up to me, and me alone. 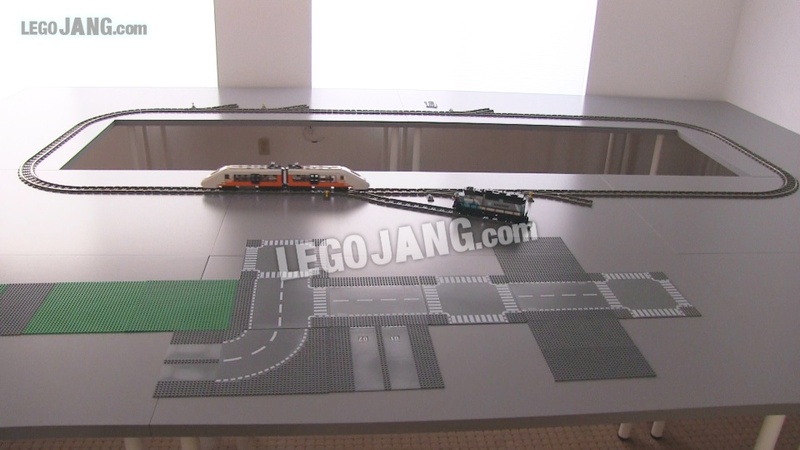 I was not building legoandrobloxkid3872's LEGO city. I was building my own. The funny thing is, I didn't even get into city building for or because of YouTube. When I first exited my original dark age and got into LEGO as an adult, I very quickly gravitated towards making an extensive diorama of building & vehicle MOCs. That was around the turn of the millennium, six years before YouTube even existed. I eventually went into a second dark age, but as you probably know by now, that didn't last forever. Months before I drove home my first big stack of Linnmon tables & Adils table legs from Ikea in 2013, I began painstakingly planning out my layout on the computer, going through seemingly endless iterations as I searched for the ideal solution. This process would repeat itself in 2015 when I started the paperwork to buy our new house, and yet again in 2017 when I kicked my parts bins & building workspace out of the room and expanded the city into that space. Each time I approach one of these major changes, I take it extremely serious and focus every bit of brainpower I can muster into developing and delivering the very most ideal possible solution. My goal, every single time? Maximize efficient use of the available space. I've always had far more ideas for buildings & features than I could ever fit into a single room, so I've always done my best to ensure that the percentage of "wants" I'd have to entirely skip due to the constraints of reality would be as small as physically possible. Therein lies the problem. That fundamental approach, as it turns out, was severely, severely flawed. It was a pursuit of quantity over quality, and that's very rarely the right idea for artistic pursuits. Thankfully a completely unexpected flash of inspiration from mother nature would eventually send me on the mental journey of a lifetime and put me on the right track. According to digital evidence, March 17, 2019 is when my life changed for the better. My wife & I were out walking our dog down a regional trail, taking a route we hadn't been down in a few months. Though there were only light, patchy clouds in the sky, it had recently rained quite a bit, and all of the terrain around us was significantly more hydrated than usual. We were on a smooth asphalt-topped stretch when I encountered something the likes of which I had never in my life encountered. On either side of the trail was standing water. Lots of standing water. A few yards in, various cattail-like reeds were growing tall & strong. Closer to us, vegetation gradually became thinner and shorter. It was a tiny, seasonal marshland that came right up to the paved walkway and was almost perfectly level with the dry, firm, man-made surface beneath our feet. It was simultaneously natural and artificial. There was a well-defined safe, clean, comfortable, practically sterile space for human access, and immediately past the sculpted edge of this zone, everything was completely wild, free-form, and alive. It was utterly surreal. The water was mostly crystal clear and I could see invertebrate life swimming around beneath the surface. I could kneel down and look at it up close, and I could reach out just a few inches and touch it. 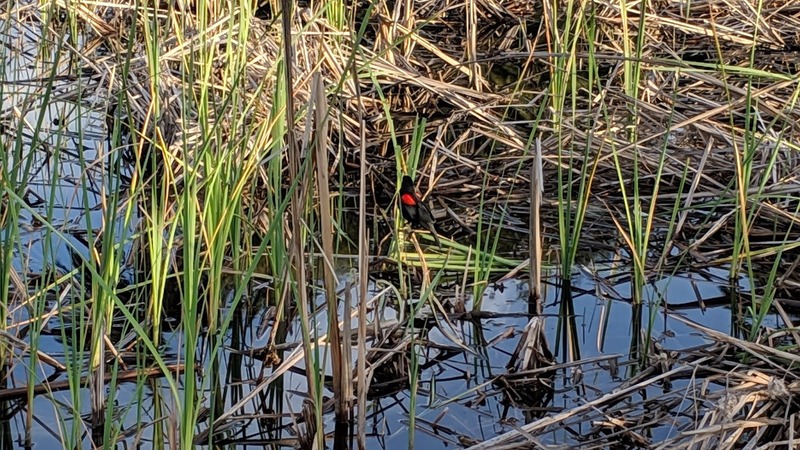 It felt like there should have been a glass panel between myself and the little wetland scene... and there it was. The feeling. What I was experiencing was the wonder of a child looking through glass or over a railing at a curated display. It was exactly what I had felt decades ago in the natural history wing of the Oakland Museum as I gazed upon the taxidermy dioramas and searched for all of the tiny details craftspeople had painstakingly hidden amongst their recreations of life frozen in a moment of time. It was the same thing I felt standing on a wooden riser watching the iconic orange & black French TGV starting its periodic high-speed run at the Walnut Creek Model Railroad Society HO scale layout. It was precisely the feeling I was seeking to recreate for myself in my LEGO room, and precisely the feeling I wanted to trigger in viewers of all ages around the world. In my methodical city planning processes, never had I consciously attempted to facilitate a sense of exploration and wonder for viewers. Though I considered sight lines, I always mentally fell back on the idea that anything too hard to see naturally would simply be exposed through creative camera positioning. I actually bought and/or designed & built quite a bit of filming hardware for exactly this purpose. I can't say my priorities were objectively wrong, but I certainly didn't work towards what I now realize is the ideal experience. That's the key word right there, and exactly why I needed to course correct. I was designing objects, but I really needed to design experiences. A model building or vehicle can be cool in & of itself, but what I ultimately care about is the feeling that I get when I look at it. I want to feel that silent, visceral awe of staring at the mini-marsh, or museum exhibit, or model railroad. Even better, I want to share that feeling. Face it, though I'm building New Jang City my own way, based upon my own ideas & desires, and I don't want any random digital passer-by to think they have a right to control its creation, I definitely do want viewers to be able to enjoy what I've put together. Sometimes content creators like to think & say, "I don't do this for views," which is a load of trash. Nobody publishes content on YouTube or any other open, public hub to not have that content consumed by others. I publish all of my videos because I want them to be viewed. Cynics with empty, hypocritical words may disagree, but desiring for things you do to be seen by people other than yourself is not automatically a bad thing. The outcome of all of this is that I have fully pivoted my approach to my LEGO layout to focus on comfortable sight lines that will facilitate the placement & exploration of evocative, fanciful little scenes. I'll look for ways to apply this approach to more of my content wherever applicable. I'm still going to try to pack as many of my longstanding ideas & wants into New Jang City as I can, but only in the interest of delivering experiences of awe and wonder to all viewers, myself included. You will begin to see dramatic results of this new effort very soon, so brace yourself, and stay tuned! 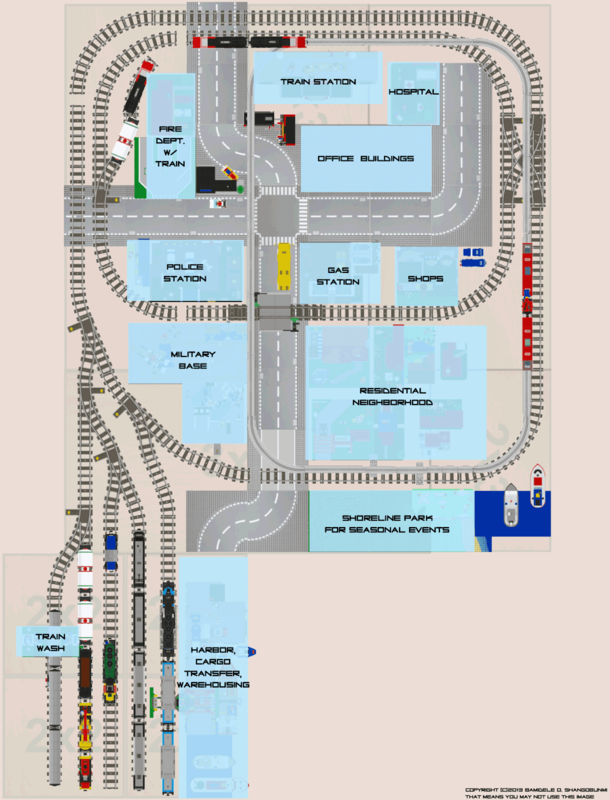 I personally enjoy how the city layout has been going, but I certainly think you're on the right track with this. But hey, as long as you like what you're doing, then that's the right thing to do. Love ya, Jang. A wonderful read! Thank you for sharing a bit of your insight and thought process into how you came about planning your city and the way it's evolved over the years. Please keep doing what you enjoy and I personally will continue to be fan! Life is imperfect, perfect... show that in your city and a new dimension will reveal itself. Happy building! Well said, Jang! I appreciate the time, effort, and explanation you put into your New Jang City videos, and I'm looking forward to seeing how things progress from here! 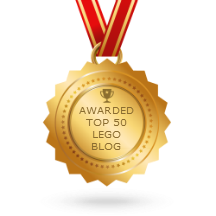 Whilst your poll suggests reviews are the most popular thing you publish I would like to say that I enjoy all the lego content that you create. The reviews help steer myself and my little boy when considering purchases and your custom creations inspire me to attempt to build my own projects. What comes across is your enthusiasm for the subject and that is vital for new Jang City. If you aren't fired up for a project like that, it will show. Keep up your great work, it's a pleasure to follow your efforts. Thanks for explaining all the planning you've put into New Jang City. That was another very interesting post. Somehow, it kind of reminded me of the enthusiasm you had at one point in one particular city update where you mentioned adding One Punch Man. Your videos are all very enjoyable and I appreciate that you keep at it. Sounds like things are going to get even more fun! Not sure if you read these messages, but have you considered adjustable and color-changing LED or spotlighting for New Jang City (i.e. skylight/sunlight)? The layout and design are important aspects, however I can't help but wonder how much of an improvement a dedicated lighting setup would be, if such a thing is even feasible. I think you're changes are great Jang and I 100% agree with setting things up to have better views, lines of sight, etc. Your city has always inspired me and I just love hearing and reading your thought process as you develop it! You've grasped it. You've got it. It's there. I *completely* get what you mean. You have my every last trace of support, and I can't wait for the future. I am only just starting to come out of my dark age of not building lego after almost 20 years. Your channel was one of the first channels that I observed a Lego City, I strive to try and build my own one of these days, when I have the room. I love what you are doing on your channel, the reviews, speed builds and most of all your City. There is only one person in this universe that can travel and experience what you do, and that is you. You write the music, you lead the band, Let your heart and mind pour out into your work. And thanks again for all you do. Reading this was a wonderful thing - it was so lovely to learn the history of your channel, and the things that make you tick as a creative person. Like you, I'm planning layouts, both a model railway, and also a mini-city. Space constraints are my biggest limitation. It has forced me to think in terms of scenes I want to show, and building the best possible layout to allow for that. My Lego City is especially constrained by space, as I cannot really afford to give it more space than my coffee table - this means a very compact city scene if I want to make it minifig scale. I love what you've done so far in remodeling New Jang City, and really appreciate the scenes you've been able to create by rethinking your approach. The view down the avenue between the Music/Laser Tag Arena and the two smaller buildings, directly to the entrance to the mall is especially inspired, and has a great visual impact. I'm very excited to see what else you bring us with the new layout, because you've already created a stunner of a scene as it is! I'm happy, that your creative process is moving forward and that we will get to benefit from that and the figures in NewJangCity will get to experience it to because at the end of the day honestly they are the ones living there. :) just keep being you Jang can't wait to watch all the new builds, reviews, and changes hence forth. Looking forward to more videos, thanks for the detailed explanation. Can’t wait for more Mocs, city updates and reviews. 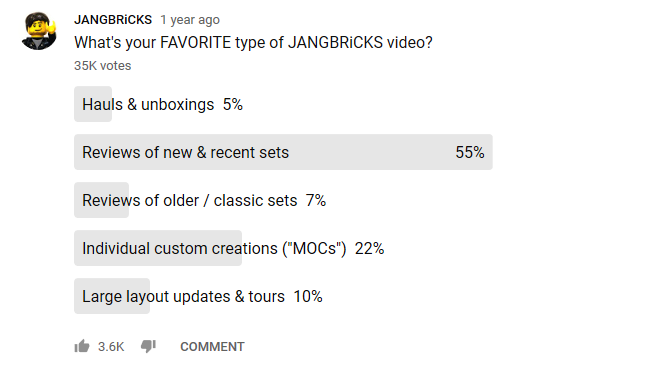 Jang, I've been watching your channel ever since 2010, where I was a little 6 year old looking at cool Hero Factory Mocs. Even if I've grown out of Lego, I've still been subscribed to you and watch your videos regularly. I remember being super excited to finally seeing your city all built. I gotta say my man, it's going great, and I love this new perspective you've got. Keep doing great things. As a fellow hobbyist who seeks the wonderment of dioramas and models I salute your candidness and support your change in approach. You have a spectacular eye for building things and I could see myself spending hours exploring your city and appreciating the artistic nature of it. Thank you for the reviews too! Whenever I am unsure about a set I go to your channel to get the low down on it, but its the city that keeps me coming back. Would love to see before and after photos whenever you make a change since its so cool to see the transformation of ideas and inspiration. I just hope that as it is your second most voted for category, you continue producing MOC videos in according frequency. Your time lapse mocbuild videos are my single most favorite thing on YouTube. And I subscribe to dozens of channels. They are a visual representation of your creativity and I find it fascinating to watch something come out of your head and onto a baseplate. Regardless, I love the channel. Keep creating! I don't like were you moved the hospital. It was very modern, and belongs in downtown. Also, make a park by it, so the patients can rest after a recovery. Good for you, Jang! It's not often easy to realize that a great effort has been expended in the wrong direction and that a course correction is needed. Nature is always a great source of inspiration. One of my hobbies is aquascaping. Using a combination of soil, plants, rocks, and branches, I try to create pleasing and natural looking underwater biomes. What I've learned is that things like texture and composition are far more important to the eye over function. At the same time, you want something that is natural and appealing for the fish and other animals that live in the space. We're basically talking about organized chaos, here. :D Much of the same can be applied to your city and it's inhabitants. It sounds like you have a good idea as to what you want to achieve, so I won't presume to make specific suggestions. The only suggestion I would make is to think about adding some height to the back sections where things get a bit obscured by some of the larger structures in front of them. Something like a plateaud hillside on the backside or one of the corners might make for an interesting and layered building space. Best of luck to your future endeavors! I look forward to watching your progress. In regards of "what the viewers want" - I'm not sure they know. I believe they think they know what they want, but in reality they will fall in love with the content that surprises them. And that would mean that they cannot know what they'll love the most because if they did, it would not be unexpected. You are the most respectable LEGO fan I have ever come across. I enjoy your work a lot and I am looking forward to the changes. Jang - I'm not one to comment on things, but thank you for putting these videos out there. Really nice read man - i think your though process is bang on! I'm on a similar adventure. We moved last year and I had to tear down my lego city. The room I am going to be building in now is much smaller than before and I need to figure out how to maximize the use of the space while still getting the same visual impact. Will be fun! An interesting new approach. Now you mention it, I think the video of yours that gives me the most exploratory "wow" feeling is the Mall tour - and based on the views I'm not the only one. I think so much of it being filmed at minifig-level really helped.